Salter Housewares was founded in late 1760 in the village of Bilston, England. By 1825, nephew George had taken over the company, which became known as George Salter & Co. and later established a large, well-equipped manufacturing site in the town of West Bromwich. The business thrived throughout the 1900s and, by 1950, employed over 2000 people, still in the same area and owned by the same family. In 2002, the management team at Salter Housewares Ltd, backed by Barclays Private Equity, bought the company out from the group, to concentrate on its consumer businesses. 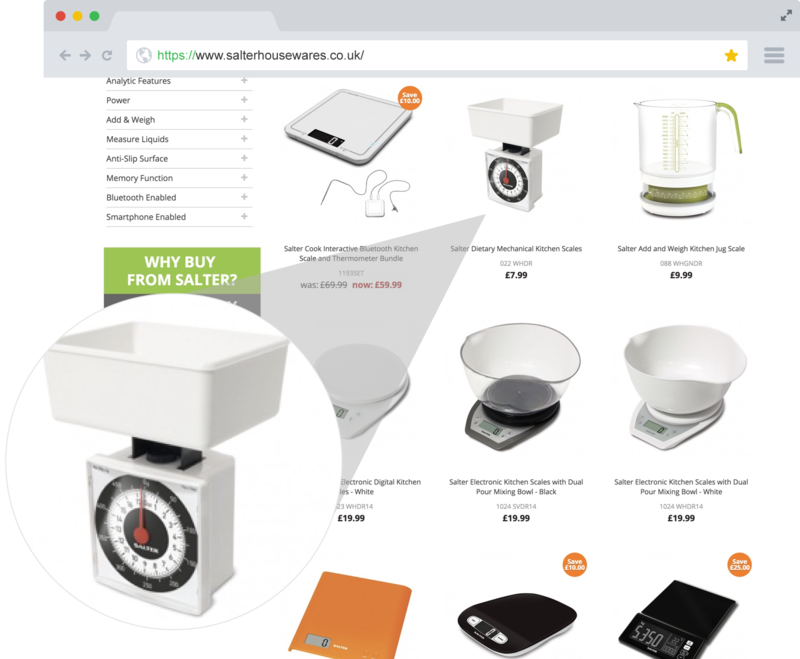 For over 250 years, Salter has been the UK’s leading food-weighing scales brand, selling precision kitchen scales and more recently, instruments designed in conjunction with Heston Blumenthal and his team. 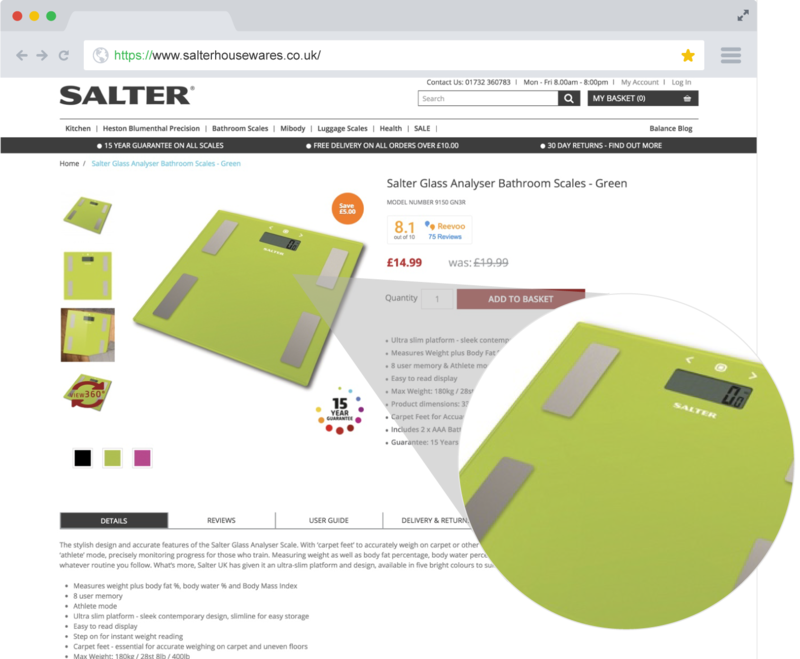 Screen Pages was tasked with building a website for Salter that would represent their strong history, technological progress and dedication to becoming a leading brand. What makes Salter’s site so special is the organisation, management and automation. 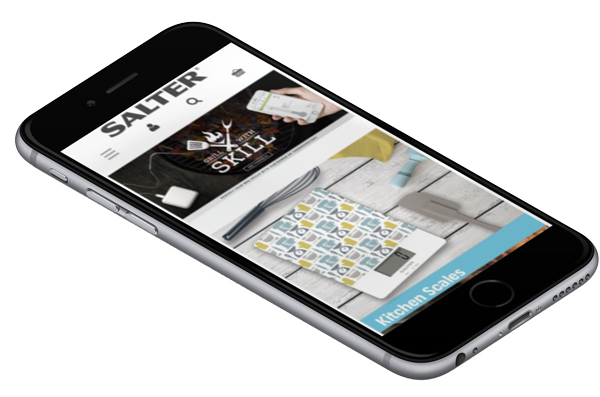 Screen Pages and Salter deliver an irresistible, seamless shopping experience at every touchpoint. 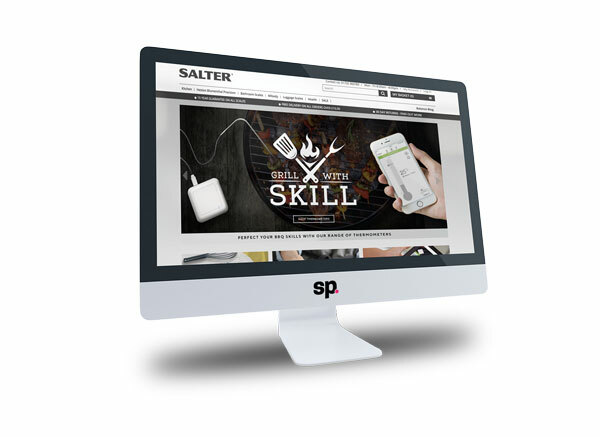 Responsive web design (RWD, also referred to as responsive design) was a key focus for Salter. Screen Pages had to ensure an optimal viewing experience across a wide range of devices (from large, high-resolution desktop computer monitors to mobile phones). Combined with Salter’s passion for service, the user experience (UX) became our obsession. 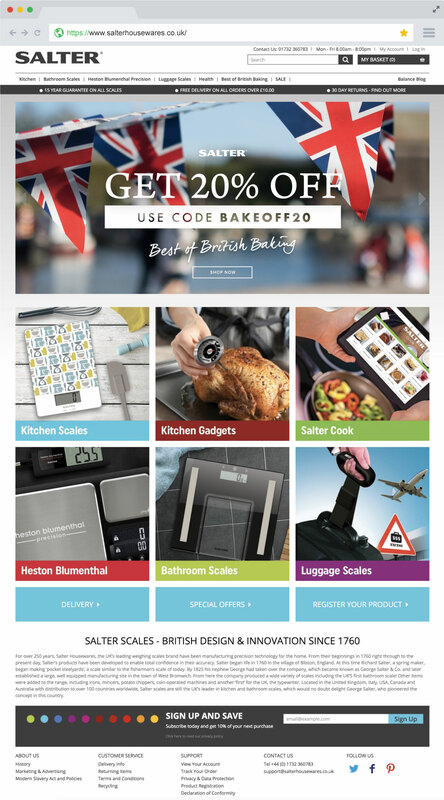 The objective was to ensure the user eCommerce journey was as streamlined and efficient as possible.